If you’re a regular visitor around here you may recall my biggest Star Wars geek fashion request last year was more Star Wars shoe options. This year is really delivering on that. 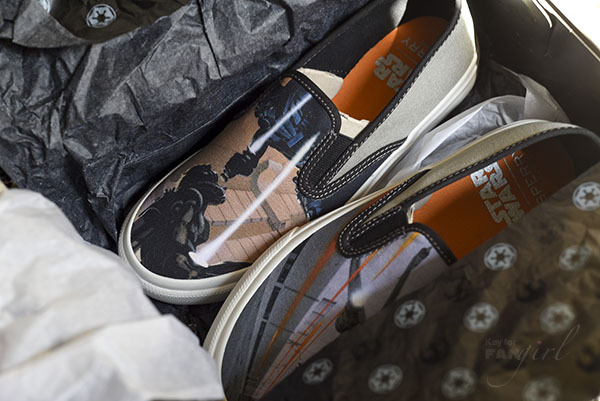 This month Sperry, a company known for its boat shoes, announced a five-design collection in celebration of the 40th anniversary of Star Wars. 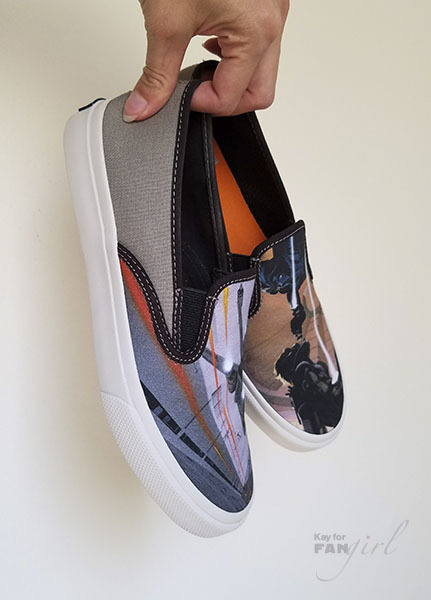 The slip-on designs include: the Droid Cloud Slip-On featuring C-3PO on one shoe and R2-D2 on the other, the Han and Chewie Cloud Slip-On which uses a well-known movie still of the duo, and the McQuarrie Cloud Slip-On highlighting pre-production concept art from Ralph McQuarrie. 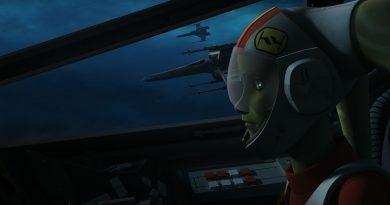 The Rebels and Empire are represented in the Rebel Pilot Cloud CVO and the Death Star Cloud CVO. I have to admit when I first saw the collection I was afraid it was going to be men’s sizing only. So it was cool to find out that the McQuarrie, Pilot, and Death Star designs come in unisex sizing while the Droids and Han & Chewie shoes are available in both women’s and men’s sizes. 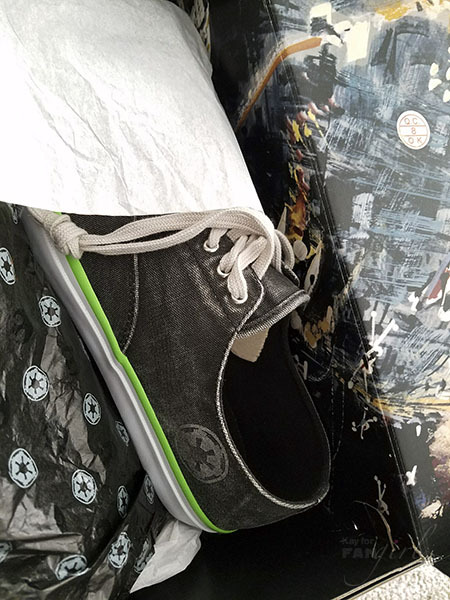 There are no kid’s sizes offered but if you look around, you’ll find some other companies that offer Star Wars shoes for kids. 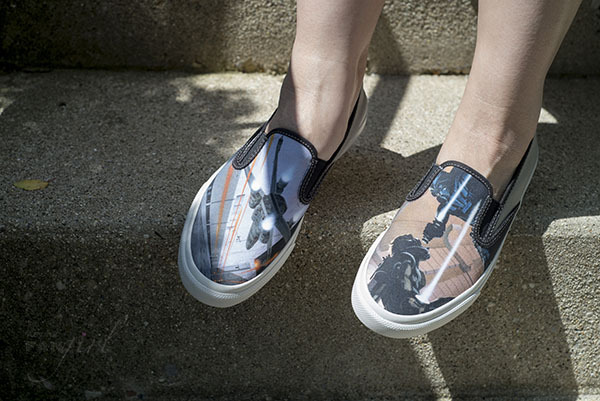 What’s also great is that this geek chic collection offer both subtle and bold ways to wear your fandom on your feet. 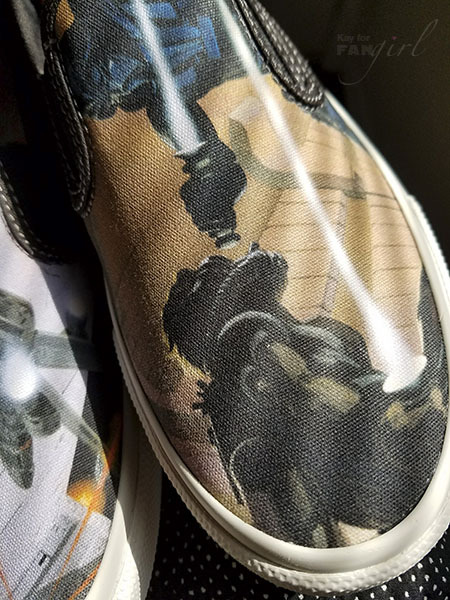 I was most intrigued by the McQuarrie art slip-ons. Meanwhile my partner Toby had his eyes on the Death Star design. Since I’m fascinated by the behind-the-scenes of movie-making and Toby got his costuming start with Darth Vader they seemed like good fits for our fandom. Both shoe designs are arguably subtle in their own ways. Depending on how Toby was standing in them, the Imperial cog on the shoe’s side isn’t always apparent in the Death Star design. Plus the infamous Imperial wall pattern in a stripe up the back goes well with the worn grayish black that makes up most of the shoe. Toby also liked that there was a little bit of color with the bright green. 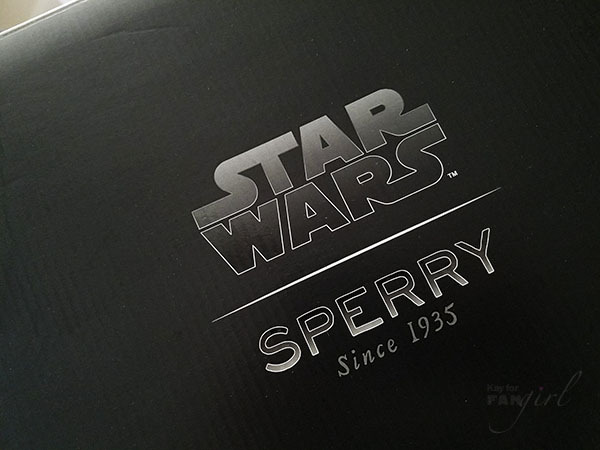 Sperry says it represents the Death Star’s beam. Meanwhile for me the McQuarrie art felt like getting to own and wear a piece of movie history. 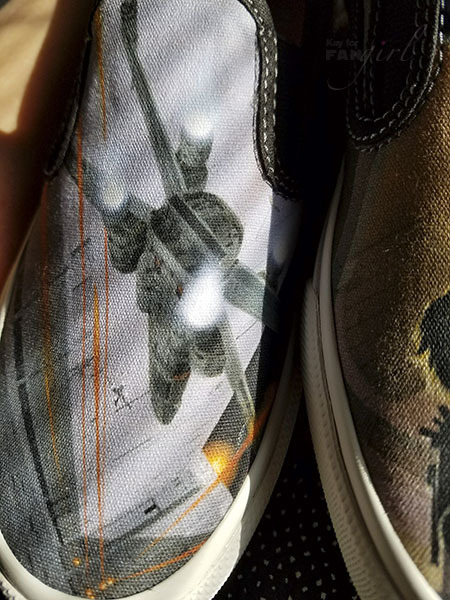 One shoe features an X-wing in battle and the other a version of Luke versus Vader. 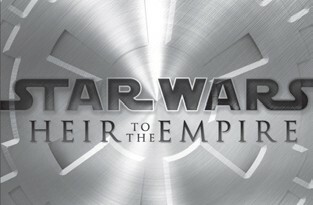 For non-Star Wars fans, it’s not going to be so recognizable. And for some Star Wars fans who’ve never seen the art before – it’s a conversation starter. 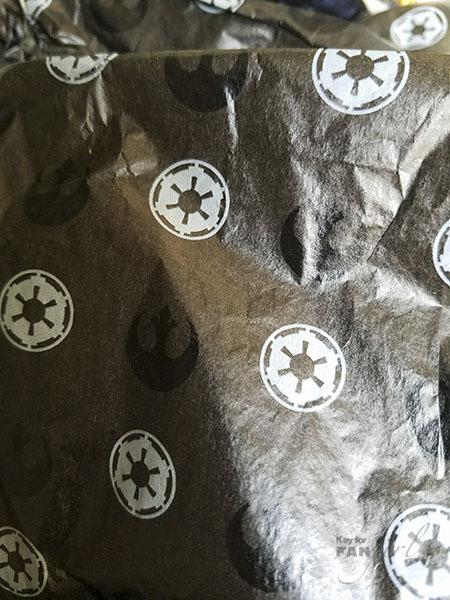 Since the focus is on the art, the Star Wars logo printed inside is the only other Star Wars touch. We both found the shoes to be initially a bit stiff but fairly comfortable. I’m hoping breaking them in more will make them even more so. Toby found he could get away with wearing the laces tucked in or tying them up like usual. Fit was true to size. We decided to take Sperry’s word that they provide good traction and not purposely try slipping. Additionally we both liked that the pairs we chose are neutral enough that you don’t really have to worry about what colors you wear them with. That still gives them a relative amount of versatility even if the styles themselves are a bit more on the casual side. Although I’ll admit I kind of like wearing them as the star of my outfit. 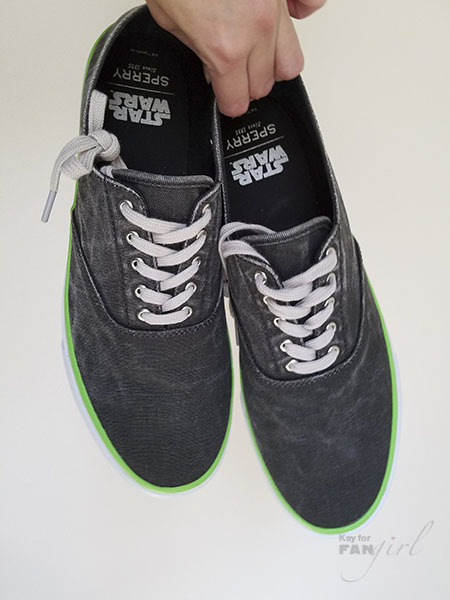 Each of the five shoe designs retails for $75 and can be found on Sperry’s website, in Sperry stores, and with the exception of the McQuarrie design wherever else Sperry shoes are usually sold. 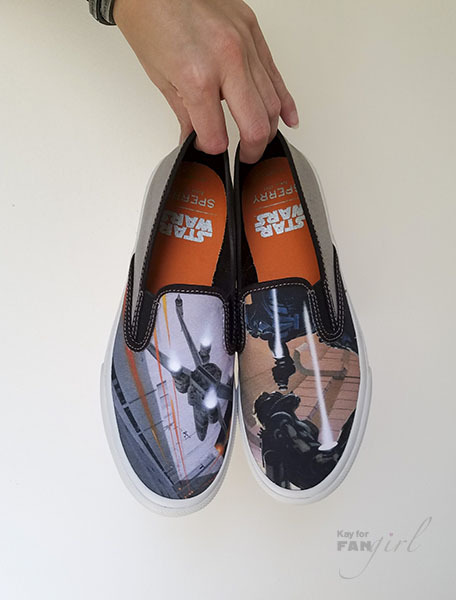 Want to pick up a pair for yourself or gift them to a Star Wars fan in your life? Click here to go to Sperry’s online store (which offers free shipping and free returns). Disclosure: Using this affiliate link before you buy supports my ability to bring more geek fashion content to this site at no additional cost to you. Thanks to Sperry for sending along the shoes for our review. 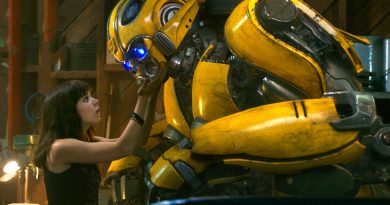 As usual, the opinions in this review are our own. 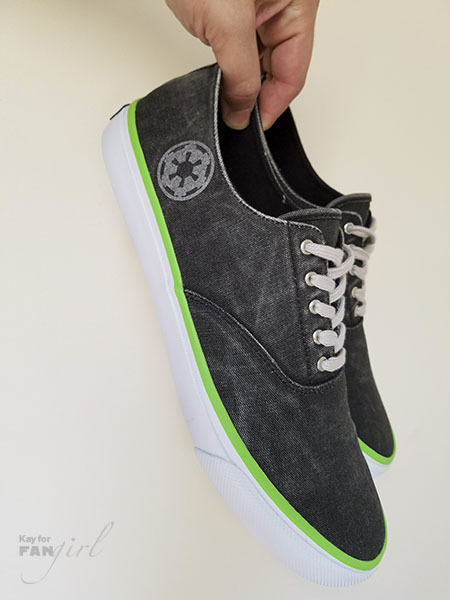 Check out my gallery below for more photos of these fab Star Wars shoes. Opening the box. Check out the artwork! 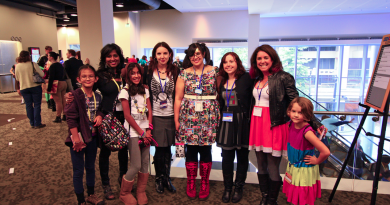 All photos by Kay, some with an assist from Toby. Please do not repost without permission.